What each of us does to commemorate Pride varies. Some stroll through Loring Park during the festival while, for others, it’s gathering with friends over brunch. For the entire GLBTQA community, Pride serves as an annual check-in. We reminiscence over how far we’ve come and rally together to battle for inclusion and basic rights. Pride is an opportunity for those looking to be a part of something bigger to make an impact as a united front. It allows those struggling with their identity to find their voice. The Minnesota Boychoir’s motto of “helping boys find their voice” is exactly what they have done for 54 years. 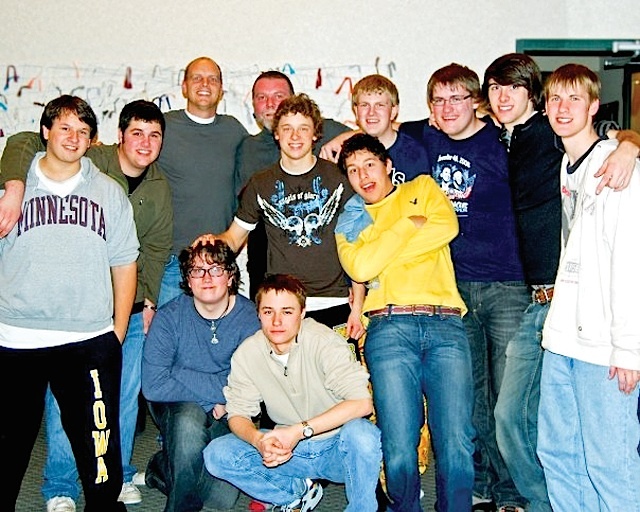 The nonprofit serves young men seven to 18 years old from Minneapolis, Saint Paul, and over 40 suburbs. And similar to what Pride does for the Lavender community, the Boychoir strengthens individual voices to create a unified sound that changes lives. Isaac van Bruggen is an alum of the Boychoir, first joining in sixth grade and singing through graduation from Irondale High School. Through the organization, he performed on a cruise to Alaska and went on a whirlwind tour to Toronto, Ottawa, Quebec City, and Montreal. On his 16th birthday in 2007, van Bruggen and fellow Boychoir members headlined a concert inside the Sydney Opera House in Australia. And, for Isaac, the Boychoir was a safe haven. When Vanya Voskresensky struggled with the coming out process as a ninth grader at Mounds View High School, Boychoir families were there to provide what many teens take for granted. Voskresensky, who was in the Boychoir for eight years, now is a chaperone on music retreats and tours, including this year’s trip to Kansas City. He’s serving as a role model to current members. The winning formula of creating community spanning generations is developed by Executive and Artistic Director Mark Johnson, who started with the Boychoir in 1992. The young men on stage come from all walks of life: queer and straight, football players and math team members. And the Boychoir is honored to welcome GLBT families in the community. Deb Horne and Amy Rouillard enrolled their son, Max, when he was seven years old. 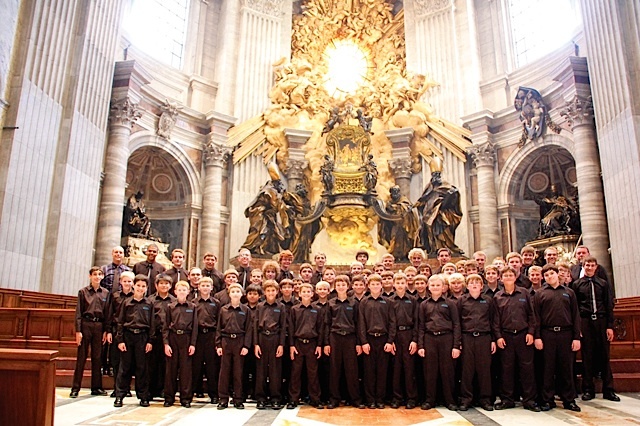 The Boychoir’s résumé boasts many accolades. In 2011, members were invited to sing during Mass inside St. Peter’s Basilica at the Vatican, which requires an elaborate application process. Annual collaborations with the Minnesota Orchestra now dot the calendar: last November, the two groups brought the soundtrack of the classic 1990 movie Home Alone to life on stage in downtown Minneapolis. To celebrate the organization’s 55th anniversary next season, choirboys will embark on a 14-day trip to Spain and France. They’ll also headline a concert at Orchestra Hall in June 2017. That’s in addition to publishing new albums. Accompanist Todd Price first played alongside choirboys in 1999. He has played piano in the Twin Cities for over 25 years and, to Price, the choir breaks stereotypes and provides unique opportunities to the community. Price and Johnson not only teach members how to read music and sing with emotion, they instill lifelong traits that turn these boys into outstanding men. Those skills naturally launch members into leadership roles at their respective schools and the rest of their lives. If music be the food of love, sing on. 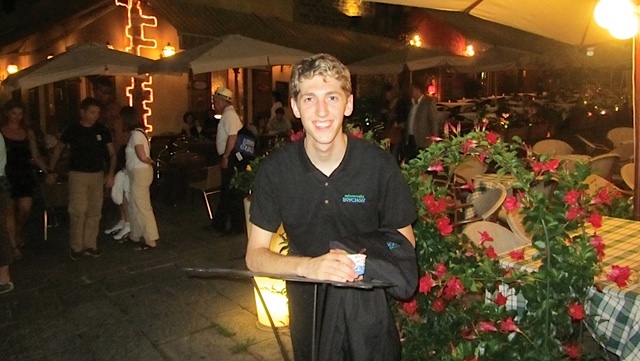 Mike Marcotte is an alum of the Minnesota Boychoir, singing in the organization for seven years. He currently serves on their board of directors. 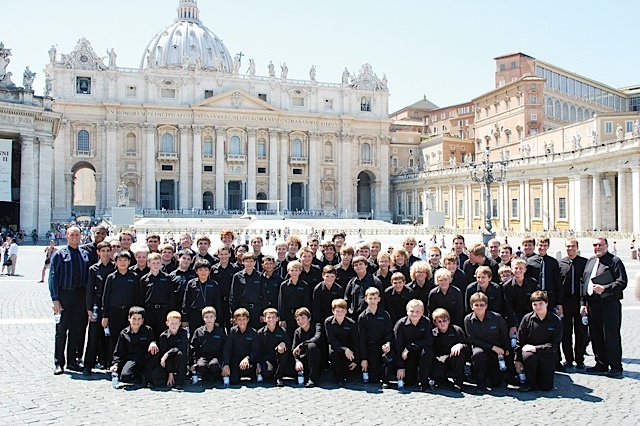 Members of the Boychoir will perform a free concert on Monday, June 27 at 7 p.m. in Graebner Memorial Chapel on the campus of Concordia University, Saint Paul. The concert concludes the choir’s tour of Kansas City. A freewill donation will be collected. Auditions for the Boychoir’s 2016–2017’s season take place July 12 and 14, with additional dates August 16–18. Learn more at www.boychoir.org.